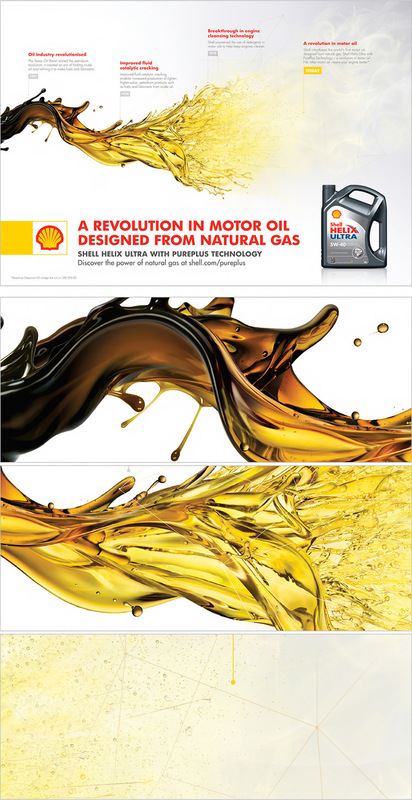 Shell required a series of 3 images to promote their Shell Helix Ultra oil. The approach taken involved capturing a large gallery of various liquid shapes and texture elements which where then merged in photoshop to create one seamless flow. The image reflects the manufacturing process by showing the transition from a gas to a oil and from a crude oil to a gas. 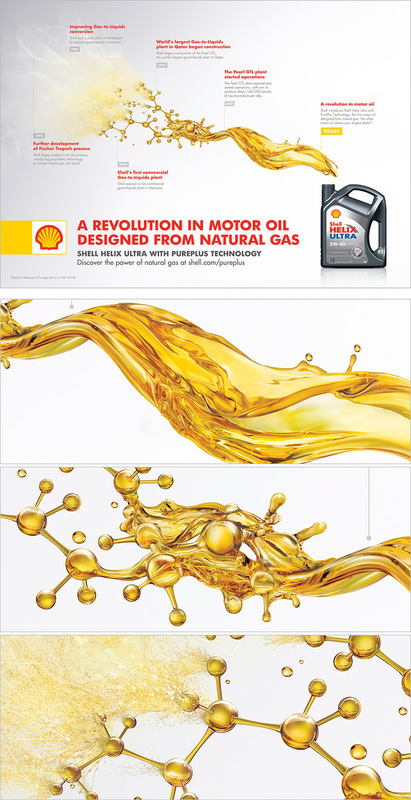 The final images needed to look both clean and light but with a technical aspect to reflect the tecnological innovation required to develop this oil.